Black girl magic strikes again, and this time our shining star is a New Jersey high school student who just did a clean sweep of her college applications, racking up acceptances from all eight Ivy League schools as well as Stanford, just for good measure. Ifeoma White-Thrope, who attends Morris Hills High School in Denville, is now dealing with a happier problem: figuring out which of the prestigious schools she’d like to go to in order to further her education, which she thinks will be focused on global health. 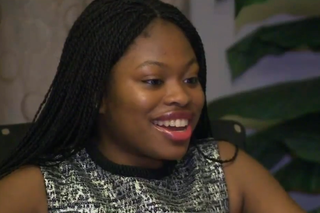 “I want to go into global health and study biology, and so many of them have great research facilities, so I was like, I might as well just shoot my shot and apply,” the charismatic teen told WABC. Her proud parents, Andre and Patricia White-Thorpe, said they will leave the final decision up to the brilliant teen; granted, with the letters she has in front of her, there’s really not a bad choice she could make. “At this point, none of the schools I’ve applied to said they give merit scholarships, so I’m praying that they give me some more financial aid or some money. Shoutout to all of those schools: Please give me something,” Ifeoma said with a laugh.